Building owners who are contemplating converting a rental building into a condominium often have the long-term goal of selling all of the apartments in the building. However, the type of tenancies in the building will affect the owner’s conversion options. Are there rent-controlled or rent-stabilized tenants in the building, who are usually entitled to renewal leases? Are there senior citizens or disabled tenants who are granted special rights under the law? On the other hand, market rate tenants do not typically have the same right to renewal leases and are often the key to structuring a successful conversion project. Deciding whether to renew market-rate leases, or to allow such leases to expire and the tenants to vacate, is one of the most important decisions that an owner needs to make in the months leading up to the submission of a “red herring” (draft offering plan) to the Office of the Attorney General (“AG”). And then there is a third consideration—whether to buy out tenants (whether rent regulated or market rate), and when to offer the buyouts. These factors are often in tension, and that tension needs to be carefully thought through prior to submitting the red herring to the AG. 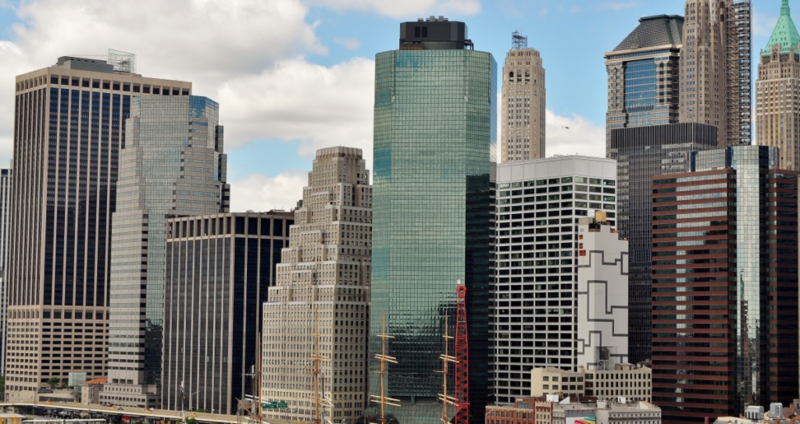 The New York General Business Law requires a building owner to prove to the satisfaction of the AG that no more than 10% of the apartments in the building were vacant for more than 5 months prior to the submission of the red herring to the AG’s office. Otherwise, the offering plan will be rejected, and the conversion cannot occur. A building owner will need to examine the rental history of every apartment in the building for the 5-month period leading up to the red herring submission, even if the building was owned by a different owner during any part of that period. For example, if a red herring is submitted on January 15, 2018, each apartment’s rental status would need to be examined for the months of August, September, October, November and December of 2017, starting on August 14, 2017 (one day before the beginning of the 5-month lookback period). Interesting questions are bound to crop up during this analysis. What if the apartment is used for seasonal occupancy? Or as a pied-a-terre? What if a tenant leases more than one apartment and lives in one and works in the other? What if an apartment is rented by a corporation and different individuals occupy the apartment at various times? All of these questions (and many others) must be resolved on a case-by case basis and the owner will need to provide documentation to the AG to prove occupancy. At odds with the legal requirement to avoid excessive long-term vacancies is the building owner’s desire to vacate apartments so they can be renovated, upgraded, or combined with other apartments. For market-rate tenants, the AG’s office has conceded that the owner may offer buyouts at any time—before, during, or after the red herring is submitted to the AG-and those offers may be accepted by tenants at any time. Owners who negotiate a buyout with a tenant but permit the tenant to remain in occupancy and possession of the apartment during the 5 months before the “red herring” is submitted, must disclose those buyouts to the AG, and those tenants may not count as “bona fide” tenants for the purpose of calculating excessive vacancies. Rent-regulated tenants may be offered buyouts after the red herring is submitted to the AG, but they may only accept such offers after the offering plan has been accepted for filing by the AG. Contacting a tenant for 6 months after the tenant advises the landlord in writing that the tenant does not wish to receive offers. Using threatening, intimidating or obscene language.Initiating a communication at unusual hours. Initiating communication at unusual hours. Repeatedly interrupting or discontinuing essential services so as to substantially impair the habitability of the apartment. Commencing repeated baseless or frivolous court proceedings against any person lawfully entitled to occupy the unit. Contacting the tenant at the tenant’s place of employment. There are numerous and complex issues that a building owner can face when considering converting a rental building to a condominium. If you are considering a condominium conversion, call us at 212.935.1400. We will help you navigate this complex area of the law. *These are illustrative examples and are by no means a complete list of every possible scenario that a building owner may face prior to converting a rental building.